The Letchworth Park Arboretum was a major project of the American Scenic and Historic Preservation Society that operated the Park from the time of Mr. Letchworth's death to 1930. These four maps provide details of that arboretum project as described in our Arboretum Glimpse. 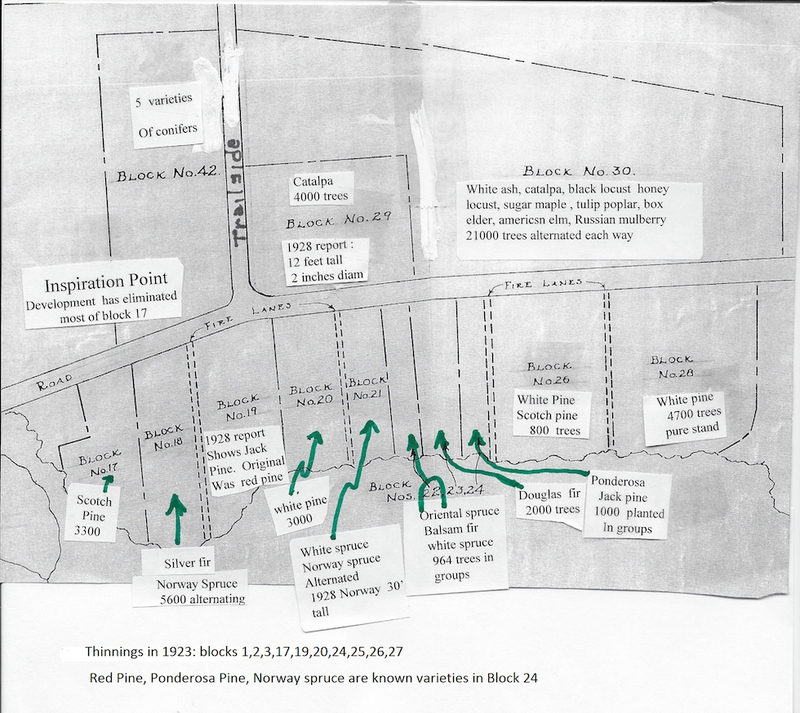 The first is an recent park map adapted to show the location of the original arboretum blocks. 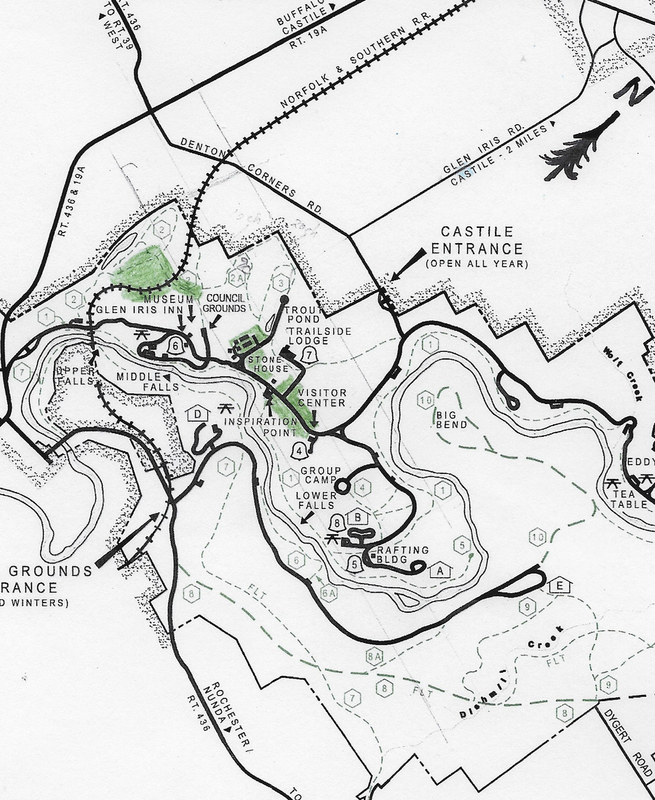 The next three maps are adapted from the original 1929 arboretum map found in the Park's archives. The notes were added by Tom Breslin based upon ASHPS reports and other documentation, his forestry background, and his many years as Park Manager. 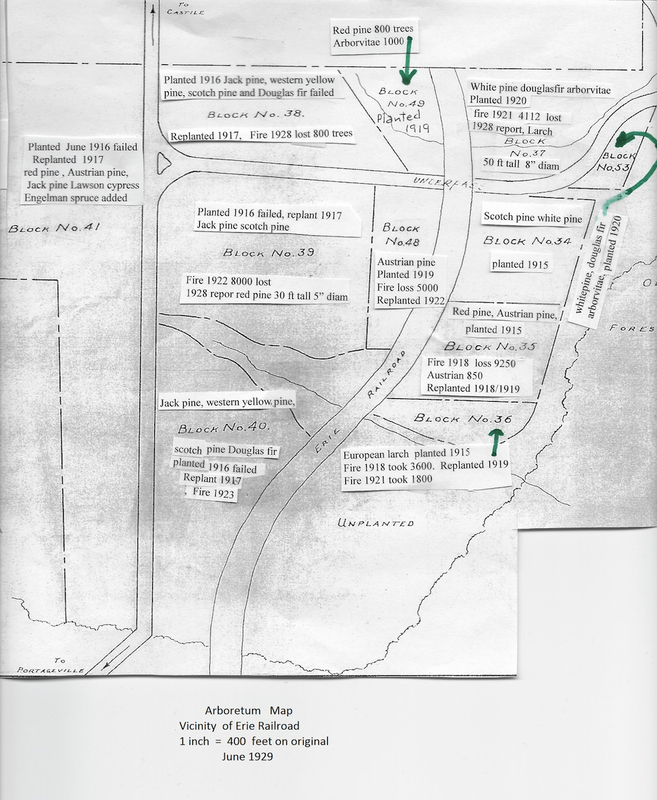 We would like to thank Historic Site Manager Brian Scriven for providing us with a copy of the original arboretum map. Overview - the areas shaded in green show the location of the arboretum blocks. Map 1 (below)- This map cover the blocks found along the Main Park Road between the Visitor's Center (right, not shown on map) and Inspiration Point just off the map to the left. Map 2 (below)-This map covers the arboretum from Inspiration Point (right) to Eagle Hill (left). Please note that the Trout Pond road no longer extends out of the Park to Castile. The Superintendent's House is now "The Chalet." 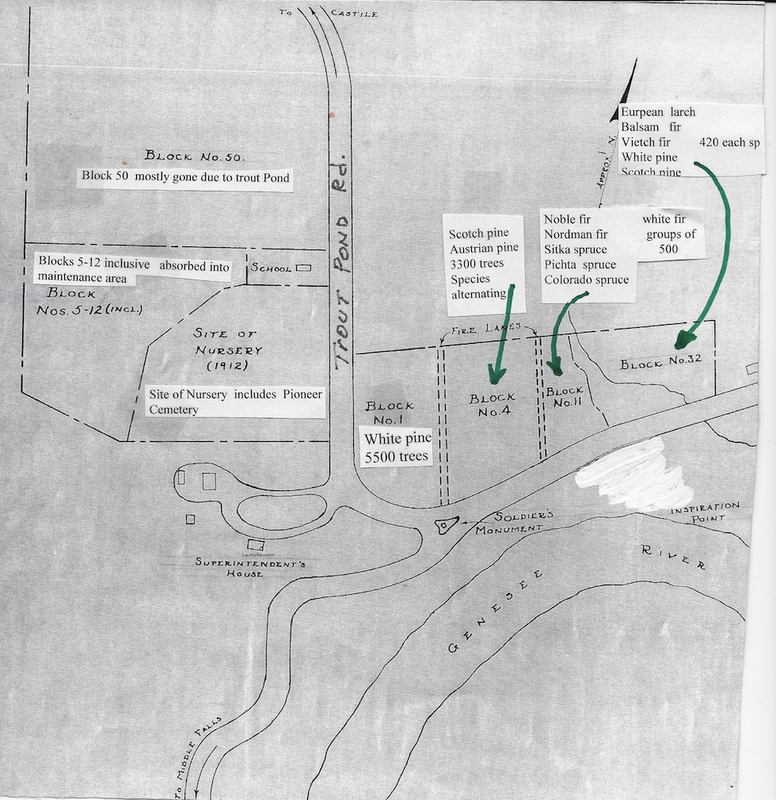 Map 3 (below)- This final map shows the area west of the Council Grounds that is accessible through Trail 2 "Mary Jemison Trail". Hikers familiar with the area can best orientate themselves using the railroad underpass found on the map.